A few weekends ago my husband and I got a much needed break, thanks to my mom. Since I homeschool, my amazing children are pretty much with me 24/7 and sometimes this mom desperately needs a break. She offered to take the children for 3 ENTIRE days and we gladly accepted. It has been quite some time since we had a weekend all to ourselves and we knew we did not want to spend it sitting around watching Redbox movies (which is generally our go to date night). 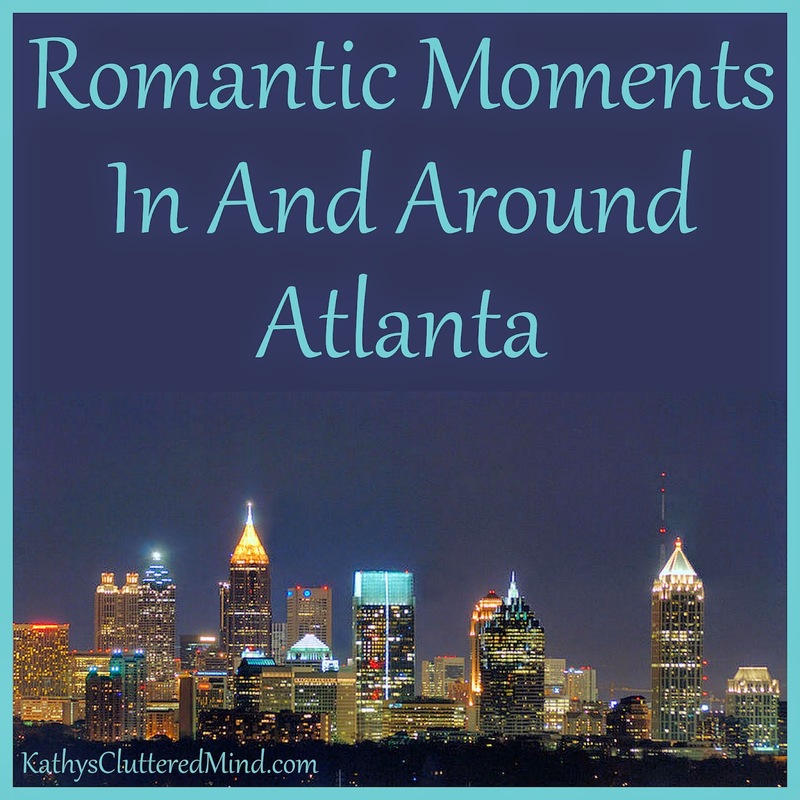 Luckily we live in Metro Atlanta so there are hundreds of great date ideas to choose from. 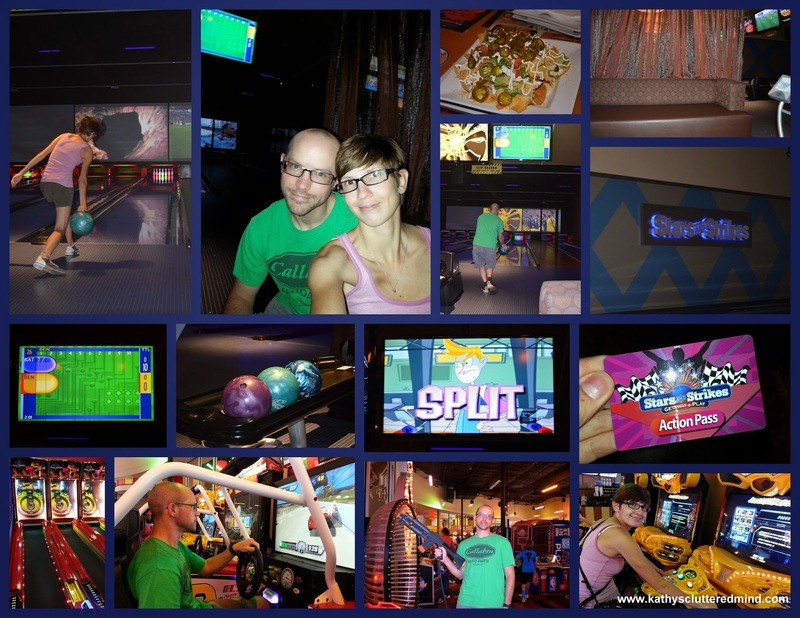 For this special weekend we choose to Dads Garage in Little Five Points and Stars and Strikes Family Entertainment Center in Sandy Springs as our date destinations. 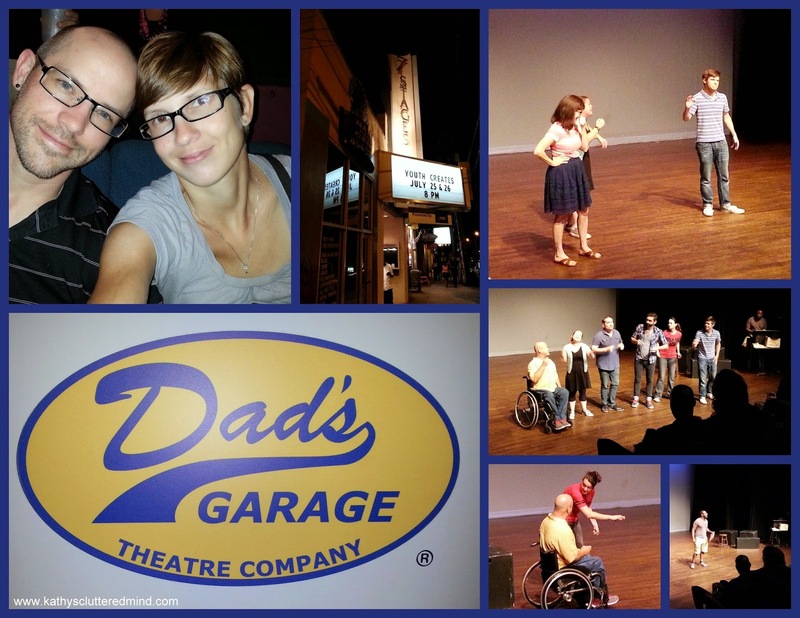 Dads Garage is the perfect date destination if you like improv. I have been to Dads Garage several times with my homeschool mom friends for moms night out but the last time my husband and I had a date there was before we had children. Dads Garage was founded in 1995 and has grown from a small volunteer led organization to a thriving mid-size theatre led by professional artistic and administrative staff. The family at Dad's has continued to grow along with them and now includes over 300 volunteers and performers. Dads Garage shows currently take place at the 7 Stages Theater in Little 5 Points. They are working very hard on raising funds for a new permanent building of their own. Shows take place Thursdays, Fridays and Saturdays. The temporary venue is very spacious, seating is comfortable and the stage is very large. Show prices are around $12 on average, but can be anywhere from $4-$23 depending on the show and day/time. The show does have mature content so it is best for 18 years and older. There is an intimate bar/coffee shop that serves beer, wine and light snacks before and during the show. We saw the TheatreSports show which is Dads Garage longest running show. TheatreSports will have you laughing hysterically and rolling in your seat. The show is a fast-paced improv competition that features the best improvisers in the city and uses the audiences suggestions to fuel the show. My favorite skit was when they used an audience members text messages. During the 90 minute escapade you will be entertained by two teams, a host/referee (though I don't think they are always impartial), the infamous scum box (which helps keep things in line) and I cannot leave out the lighting dude and keyboard extraordinaire. There is a 15 minute intermission during the show so you can get a beverage refill or use the restroom. The show was absolutely fantastic and moved at a great pace. It was endlessly entertaining and leaves you eagerly anticipating your next visit. After the show you can thank your improv actors during a meet and greet in the lobby. Before we had children we used to go bowling at least 3 times a month with our group of friends. It was something I always looked forward too. Don't get me wrong I enjoy bowling with my children too but I am so busy making sure they are happy and not running off that I don't really get to enjoy myself like I used to. For our bowling date we had a private lane in the Blue Room. This room is great for a night out with the friends, a special celebration with the family or corporate events of all sizes. The room has 8 private Blue Bowling Lanes. Blue Room lanes are $34.99-$49.99 and Traditional Lanes are $24.99-$34.99. All of the employees were fabulous and very attentive. Believe it or not you can work up an appetite while bowling so an appetizer was a must. We opted for the loaded nachos which were out of this world. After bowling 4 games and totally beating my husband (okay I'm lying about that last part) we headed to the arcade. I NEVER get to play arcade games, so boy did my inner geek go crazy. We raced motorcycles and cars, shot aliens and sailed a pirate ship. We laughed, played and had fun together just like the old days. It was the perfect date! What is your favorite date destination?